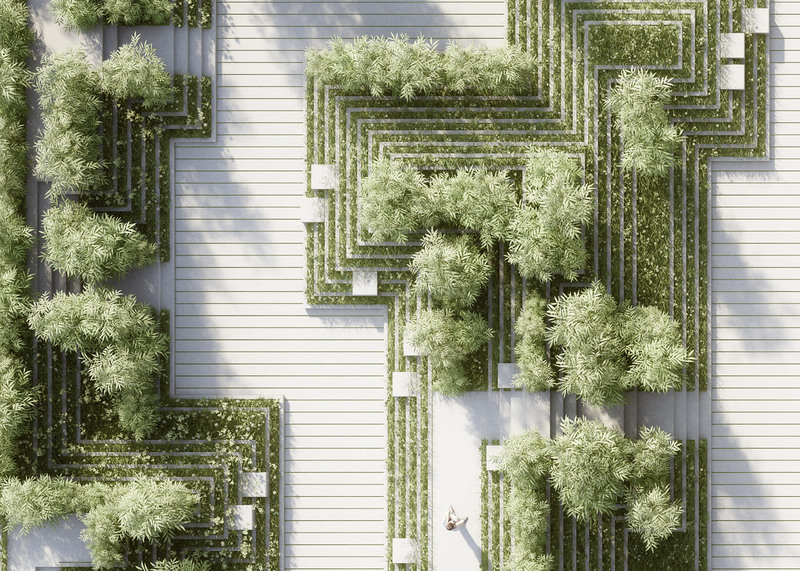 The design features of Indian stepwells and water mazes are combined in this proposal for a landscaped garden by architecture studio Penda (+ slideshow). 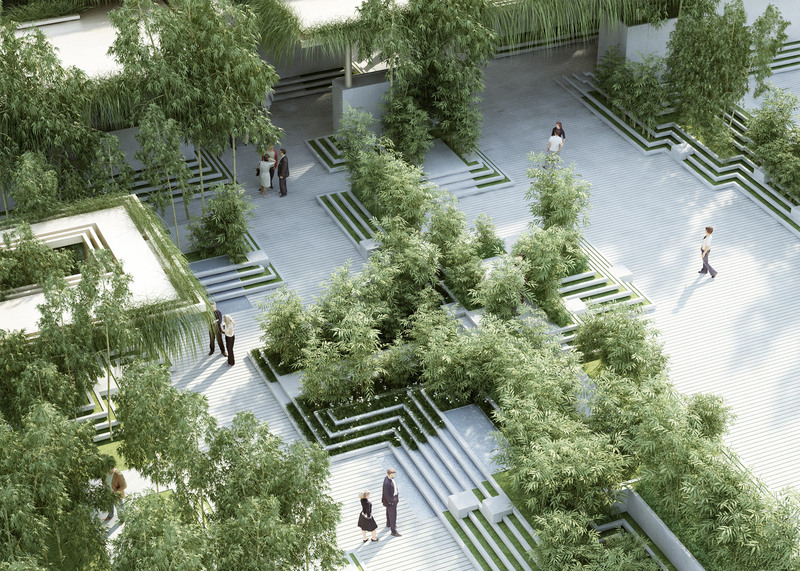 Penda – a studio with offices in Beijing and Vienna – will create the 8,000-square-metre garden for a residential complex in Hyderabad, India, which is also designed by the team and set to begin construction this summer. 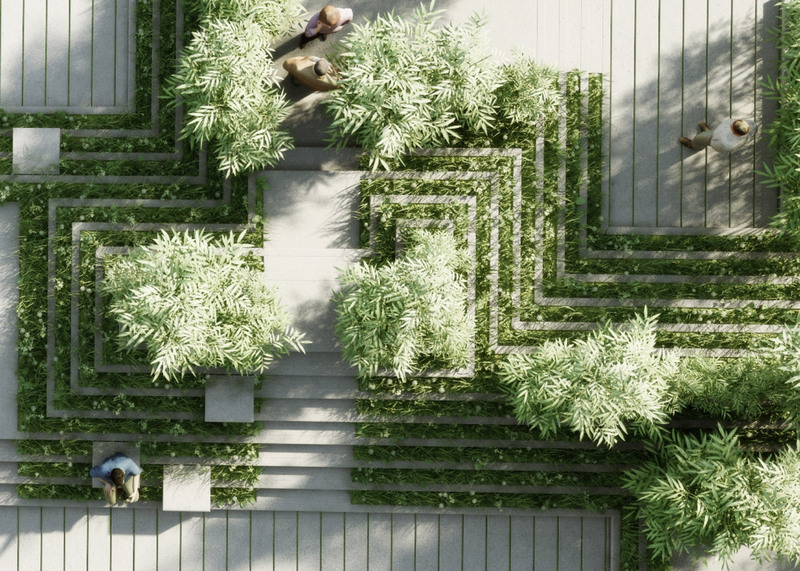 The aim is to create a communal space where residents of the 127 apartments can host friends, walk their dogs or simply spend some quiet time away from their living spaces. The studio's design brings together elements of two traditional Indian landscape features: rectangular pools surrounded by steps, and shallow decorative mazes filled with water. 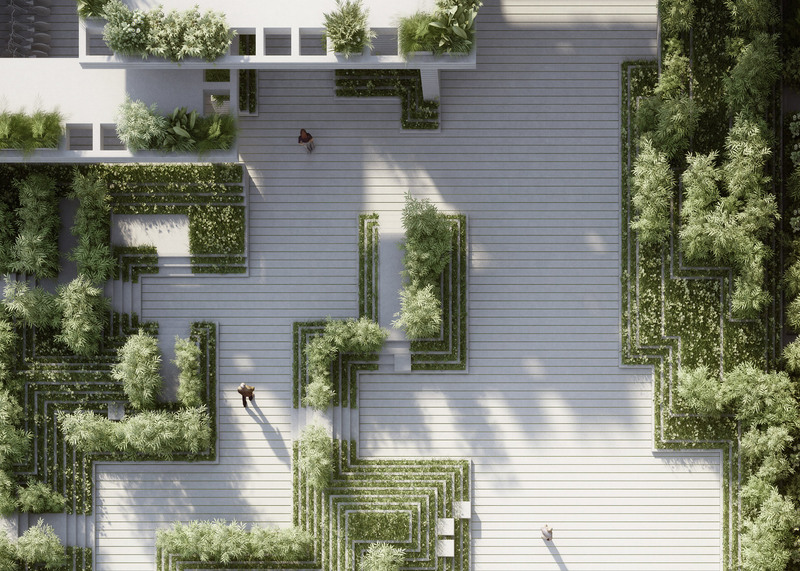 The stepwells provided the inspiration for a series of tiered planters and benches that frame the different areas of the garden, while the mazes directly informed the strict geometric layout. 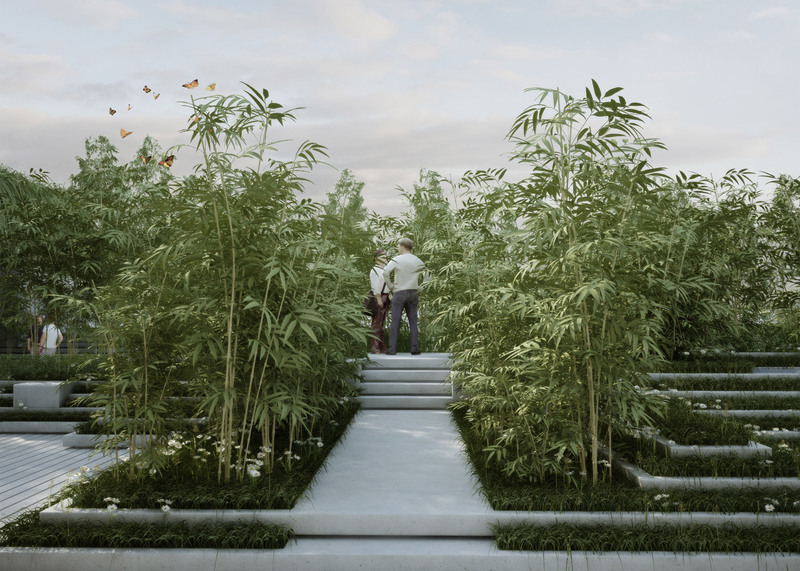 "We were always inspired by Indian stairwells," explained studio founders Chris Precht and Sun Dayong, whose other projects include a vision for a bamboo city and a house modelled on a tree stump. They continued: "It is very rare to find an architectural typology where function and beauty are so intertwined, and a harmony of human needs and environmental impact is so in balance." 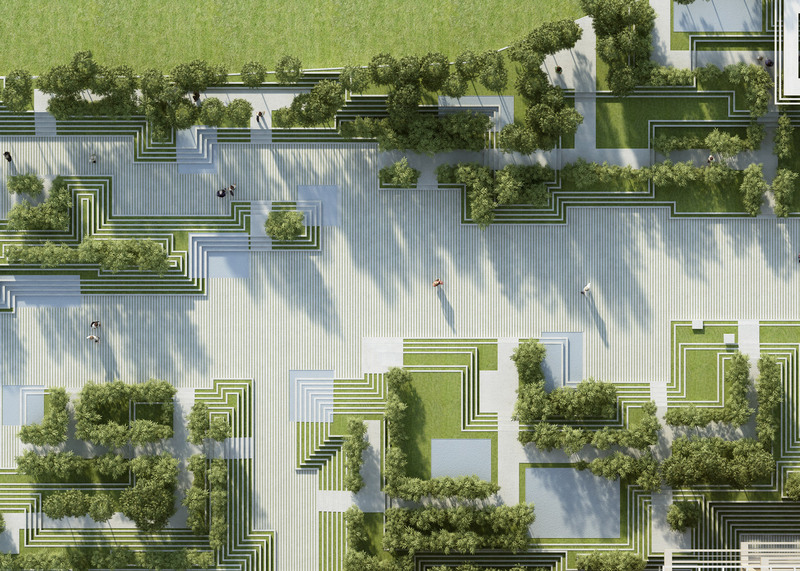 The raised elements are filled with different plants, including flowers, herbs and grasses. 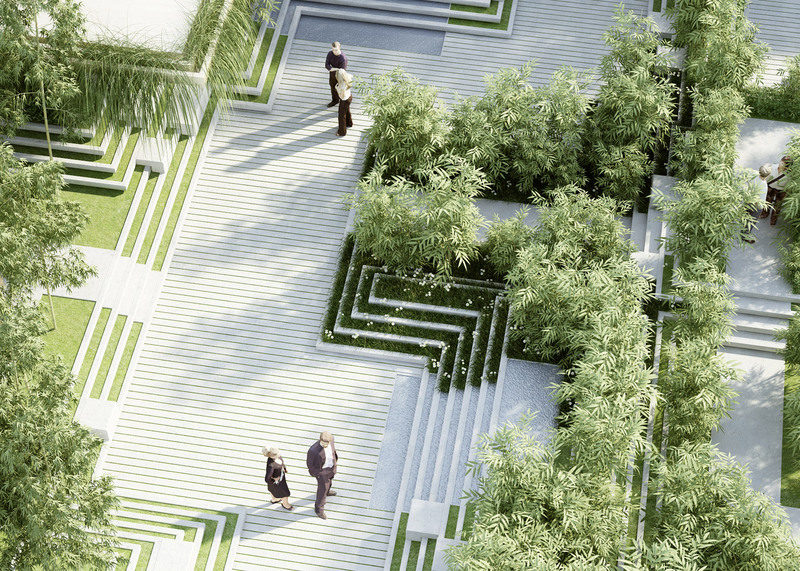 They also incorporate water features, seating areas and cluster of bamboo. 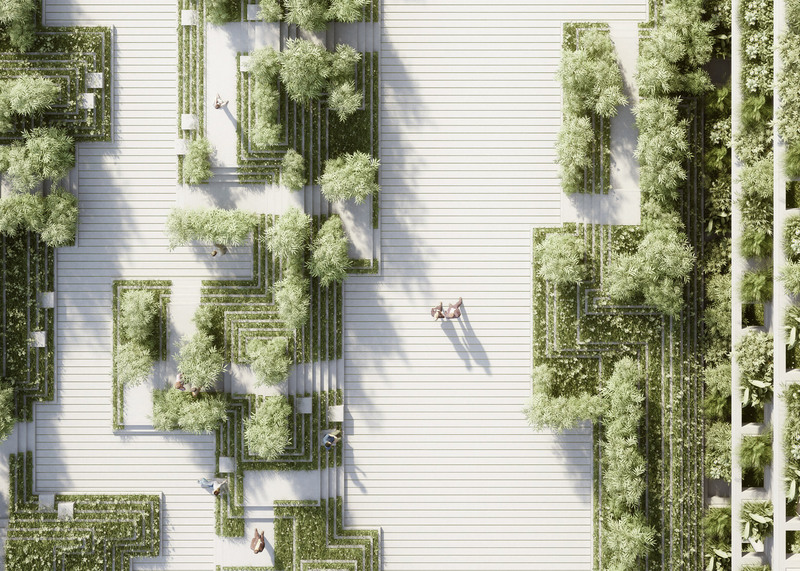 "Based on Indian water mazes, the steps get shifted to create different sets of atmosphere, from private gardens for a stroll in the park to open plazas for larger gatherings," added the architects. The layout includes three main routes, suited to different speeds of movement. There is a wide straight path for runners and emergency access, a narrower path for typical walkers, and a more winding trail for dog walkers and casual strollers. Called Magic Breeze, the project is backed by Indian property developer Pooja Crafted Homes, which is also working with Penda on a tower block in Vijayawada with a customisable facade of hanging gardens and balconies. Construction work is set to begin later this year.